This review is courtesy of Naketha. Learn more about Naketha below! I had no doubt this book would be a great bedtime story just by looking at the solitude in colors and pictures on the front cover. Because a bedtime story is exactly what I was shopping for at the time, I was not disappointed. As for the look and feel of the book, it is a little big for a night time read (I like to snuggle up with my little one and the book size made it a little difficult to get comfortable) and it’s hard to keep the hardback from slipping from the paper covering. The book is also not immense on wording and is a very short read, but keep in mind, this book is written to engage the toddler audience. So I immediately began to feel that the title of the book was a bit contradictory to what was actually happening at the books opening. It doesn’t appear that the night is going wonderful at all. Baby Badger is afraid of the dark and as nightfall approaches he is becoming more afraid and unsure. However, Papa Badger is out to prove to his little one that there are actually beautiful and “wonderful” things that happen in the night. 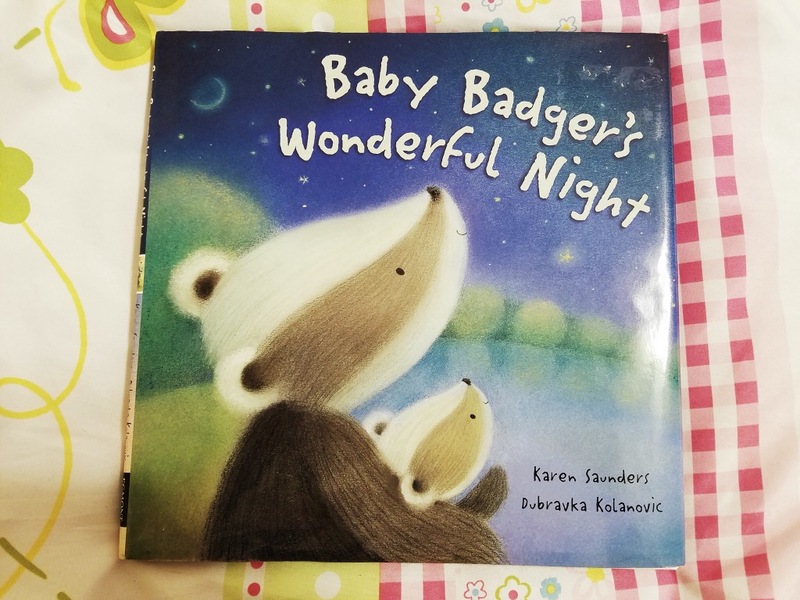 As the two venture through the woods on a magical night journey, Papa Badger points out all of the amazing details of the night, like the colors and stars, comforting Baby Badger every step of the way. Papa and Baby Badger even take a break to make a wish upon a shooting star. Before Baby Badger realizes, its morning and rest has come easy. 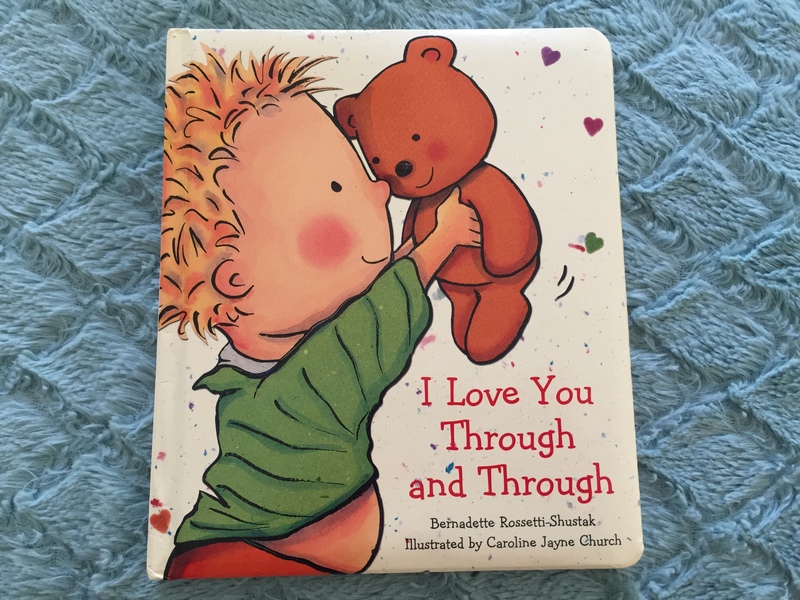 This book resonated with me from the very beginning because I relate so easily to calming my little one in times of fear and uncertainty. Obviously most of the time I don’t truthfully have the answer but I know that my daughter feeds off of my energy. Not to mention, she mimics everything that I do. The tone of the book was super soft and comforting and I had no doubt that she could understand what was happening. Sometimes the conversation of why we shouldn’t be afraid is difficult to explain to a toddler, especially being afraid of the dark, but this book is an excellent conversation starter. First, the empowerment factor in this book kept me smiling from ear to ear. I loved the way Papa Badger took Baby Badger’s fear and turned it into an opportunity to empower. I’m a firm believer that power overcomes fear in all cases. 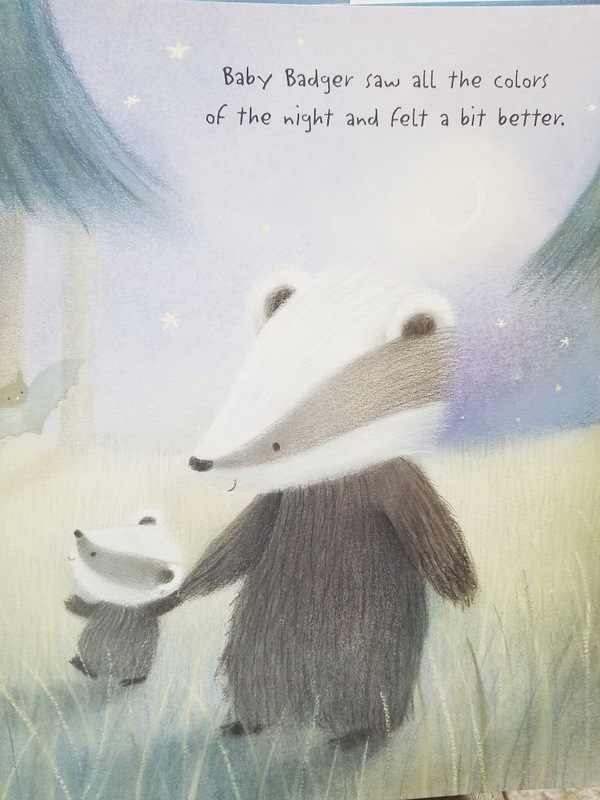 Papa Badger made a point to reassure his little one at every trembling throughout the book. There was not one instance where Baby Badger expressed fear or concern and it was not met with a confident, yet comforting response from Papa Badger. Classic Daddy to the rescue type of story. Second, there were really nice and subtle educational moments throughout the book. 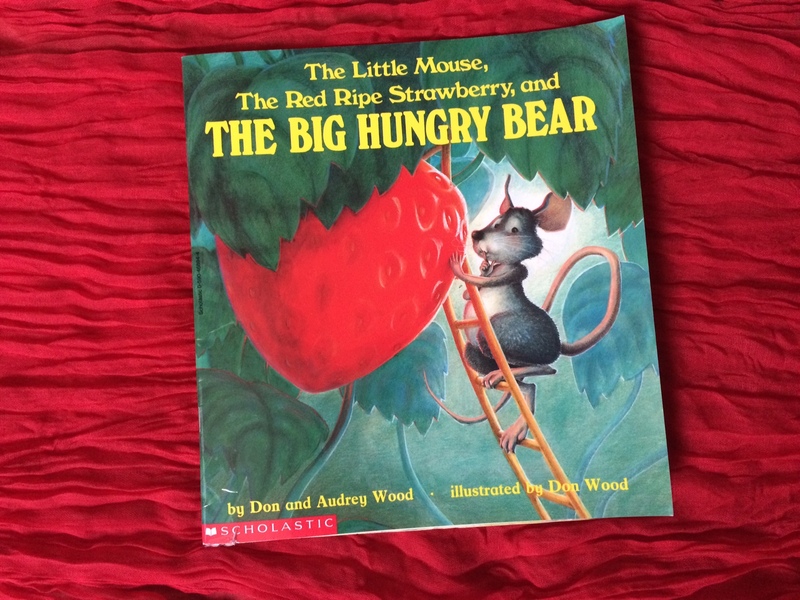 In remembering her audience, the author took the time to write to a toddler’s level of learning by using colors, shapes and examples on how to follow instructions. I actually called out the colors that Papa Badger mentioned and asked my daughter to point to them in the book. Super fun and interactive! The reference to the “North Star always guiding Baby Badger back home”, gave me goosebumps. It was such a profound moment in the story because I could almost see the fear melting off of Baby Badger. Finally, I was overwhelmed with the amount of relationship and bonding that went on in the book. In my opinion, there are no sweeter moments in a parent’s life than quiet, teachable moments with their child. Papa Badger is portrayed as protector and teacher all in one. While he spent the night reassuring his little one that darkness was not scary, he also took time to show and explain why. 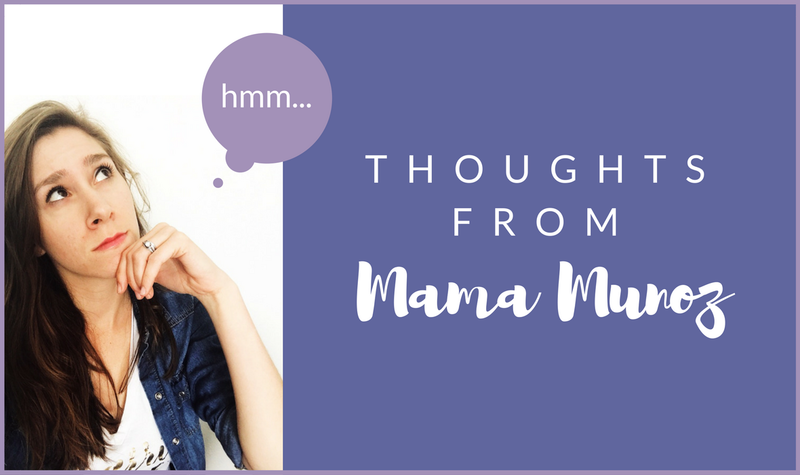 How many times have you been asked why by your toddler? The father/child relationship is on full display in a way that we very rarely get to read about. Papa Badger was determined to make sure that his little one could begin to overcome fear of the dark through a display of bravery and courage, but he also handled the situation in a very nurturing way. I appreciated the affection shown in the book, not only in words but also in pictures. Hand holding and snuggling were almost on every page. What better way to make our children feel safe and secure? This is one of the best book purchases I have ever made because it speaks to many of the things that are near and dear to my heart where my daughter is concerned; Relationship, Empowerment and Education. The book is simple yet necessary. For any parent that may be struggling with a toddler who is afraid of the dark, or anything for that matter, I highly recommend this book. You would be surprised at the level of conversation that will spark between you and your little one. Naketha Akamo is a wife, mom and the owner of Jasia Business Solutions, A Virtual Assistance Company. As she begins the process of breaking up with Corporate America, she’s excited to pursue a life in freelance writing. Naketha lives in Jacksonville Florida with her husband of six years and their two year old daughter. This is what I love about children’s literature, it may seem like a short insignificant board book, but if you really take the time to analyze it critically, you will see there is so much more. I want Addison to know her daddy loves her so much and that he wants her to be fearless and bold, so we will be picking this book up for sure. 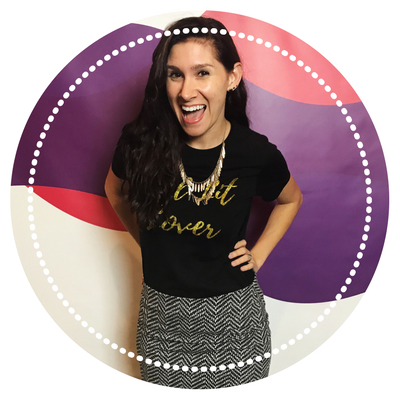 Are you on the email list? Be sure to join and take the Curate Your Core Library Quiz (coming soon). Join here, can’t wait to chat more in your inbox! This looks like a wonderful bedtime book. I’m always looking for new ones that are calming and help the kids wind down. Even better if it helps soothe night time fears. Exactly my thoughts. 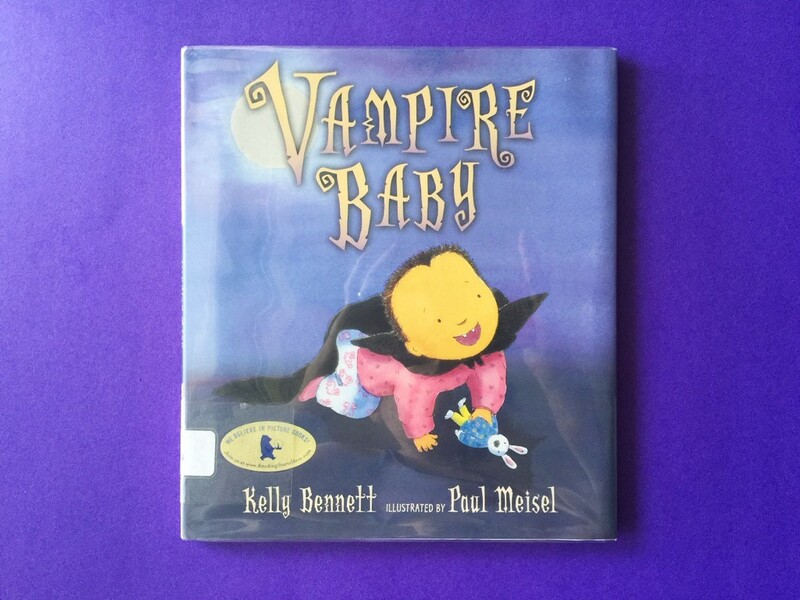 What are your favorite bedtime books? Yes, exactly. The books we read with our children shape them. The illustrations in this book look so adorable! I bet my son would love this book. I hadn’t heard of it before, so thanks for sharing! Of course! And yes, the illustrations are so calming and perfect for a bedtime story. Aw, this looks adorable. We are always looking for good bedtime books! Could not agree more, I think it’s adorable. What a sweet story. I will definitely be adding it to our reading list. My little one loves books. Oh awesome! I think you’d love the book I wrote about the value of children’s literature and how we can be better parents by using kid’s lit!